I love seeing the close ups and the details on your creations. Such creative use of materials and amazing how you get so much detail in them. 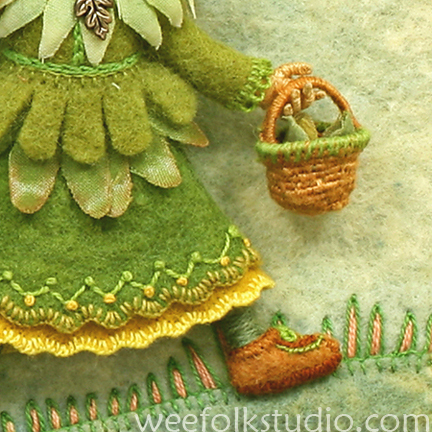 Such fabulous details, I love the egg basket, they look real! 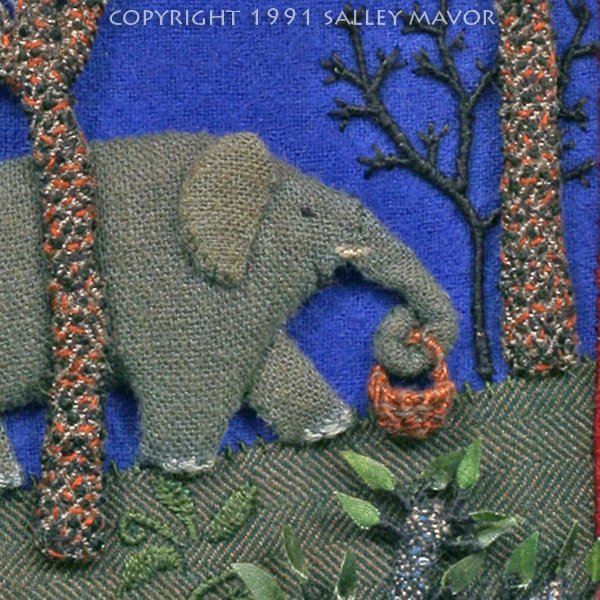 Your attention to detail is just amazing, Salley. A friend gave me a copy of A Pocket Full of Posies recently and I’ve enjoyed it so much! I love reading your blog and learning some of your methods!! I second Carolyn’s suggestion! 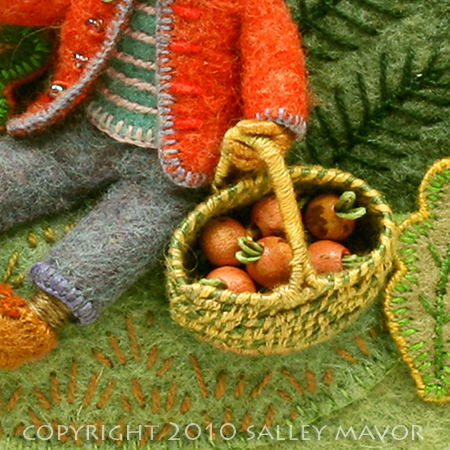 The embroidery work on the tiniest baskets is just lovely. 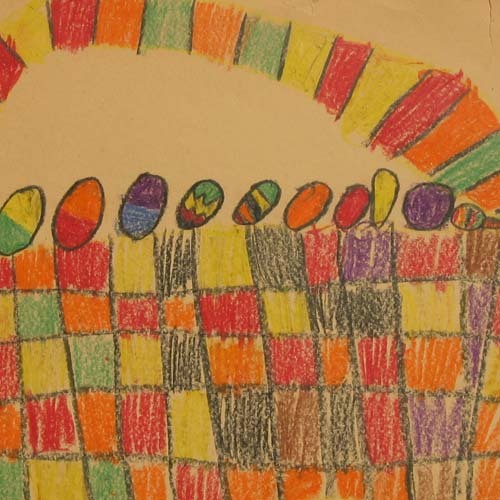 And I particularly liked seeing your early drawing of the Easter basket…reminds me of some art work that my dad saved for me. Wonderful to see how you began your love of baskets! I am charmed by your work. It’s all in the details. Bravo! Fantastic baskets! 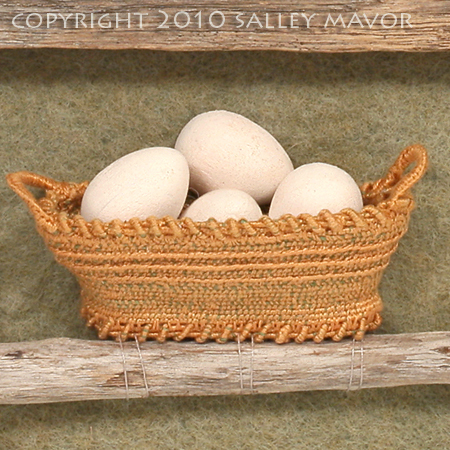 The egg basket is particular wonderful…so very realistic and complex. Thanks for sharing them! Hi Salley! I just found your blog via Feeling Stitchy and I was SO HAPPY! I have been a fan of your work for years but I did not know about your blog and your new book. Mine is on it’s way, but in the meantime I enjoyed every post on your blog and am so intrigued by your process. Thank you very much for sharing! This makes me soooo hoppy!!! What darling baskets to see on Easter day!!! 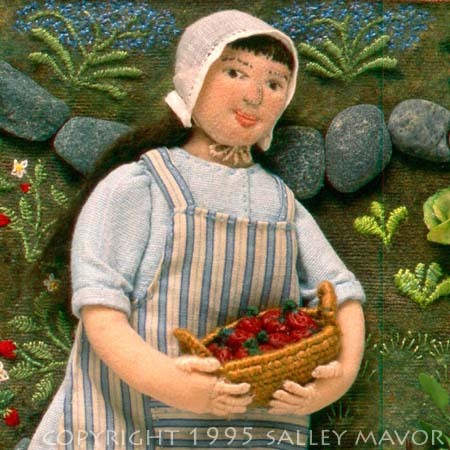 Dear Sally, Your crafts and designs are amazing!! I saw this in a passing tweet and would just like to say – Happy belated easter and thanks for sharing your lovely work! OMG! Heart it!!!! I love baskets too, although mine are fabric.